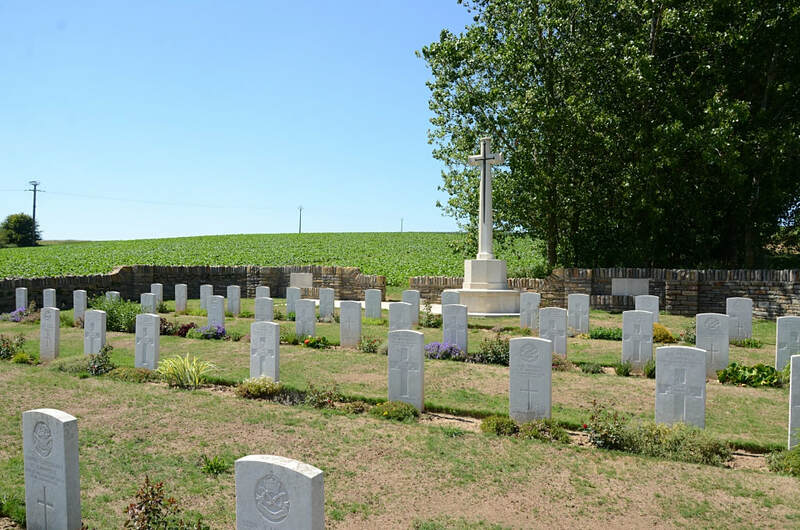 Berles-au-Bois is about 15 kilometres south-west of Arras and 3 kilometres south of the main road from Arras to Doullens (N25). 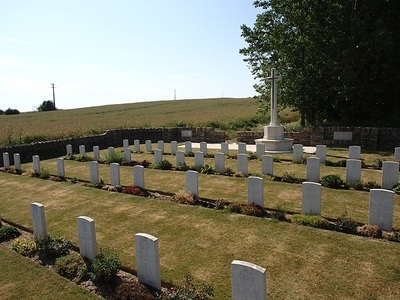 Berles Position Military Cemetery is between Berles-au-Bois and Monchy-au-Bois, 100 metres south-west of the road between the two villages. 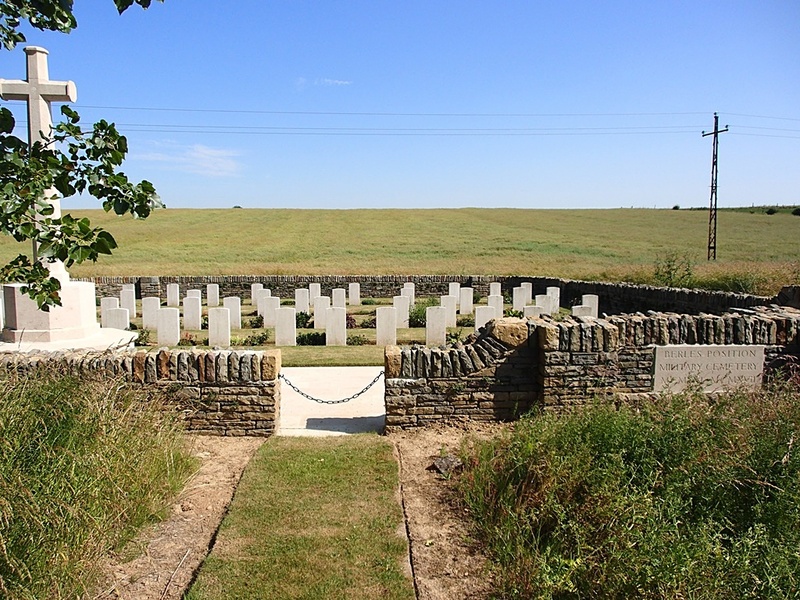 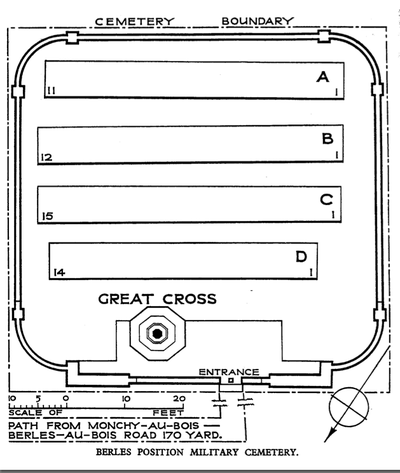 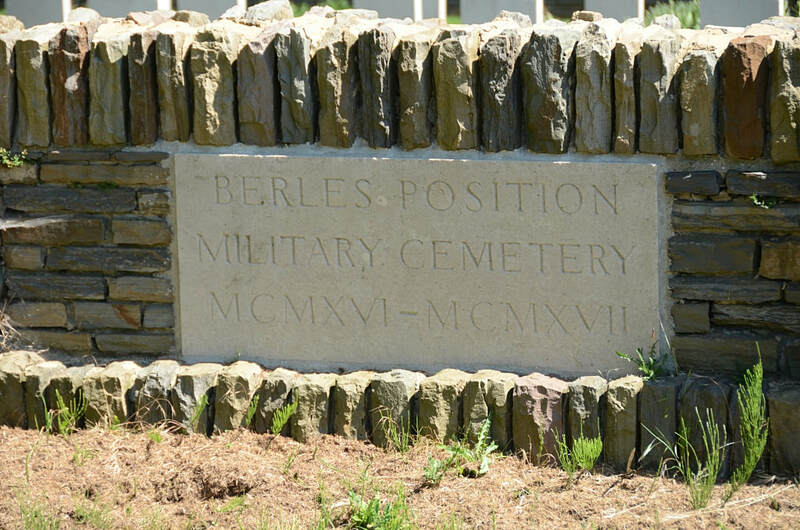 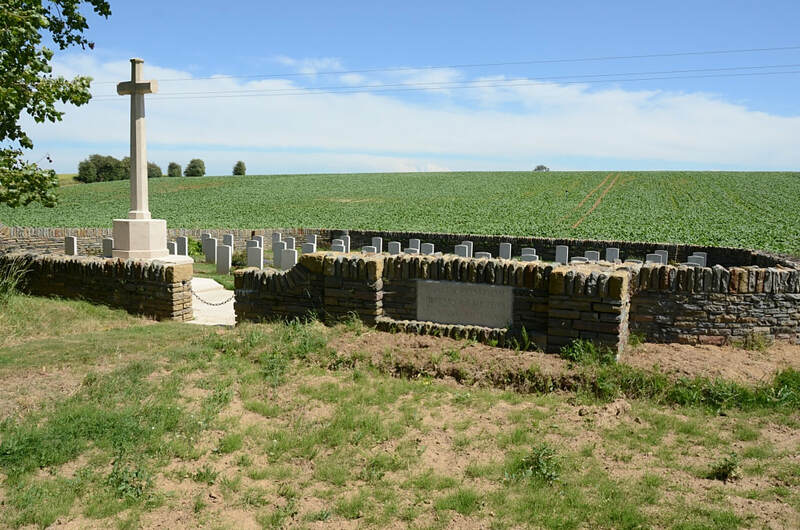 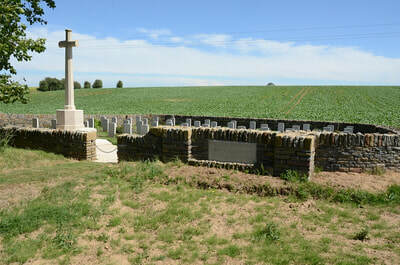 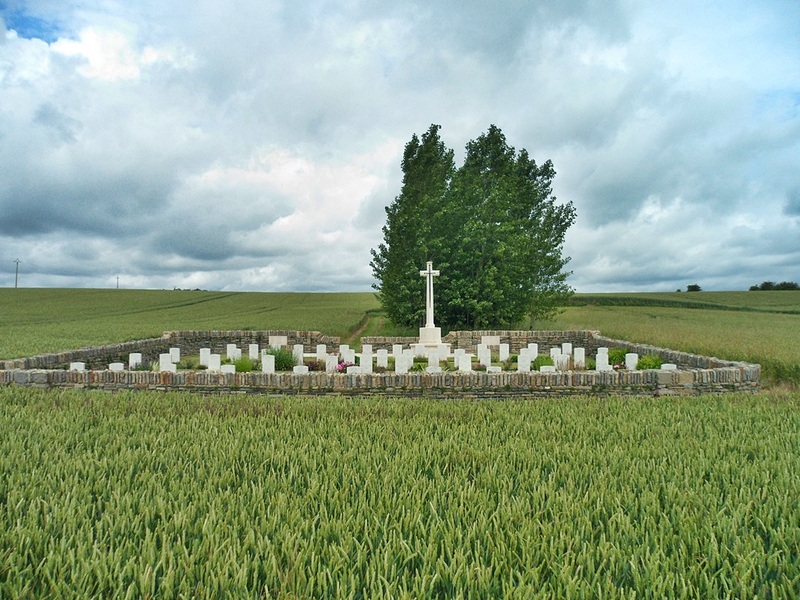 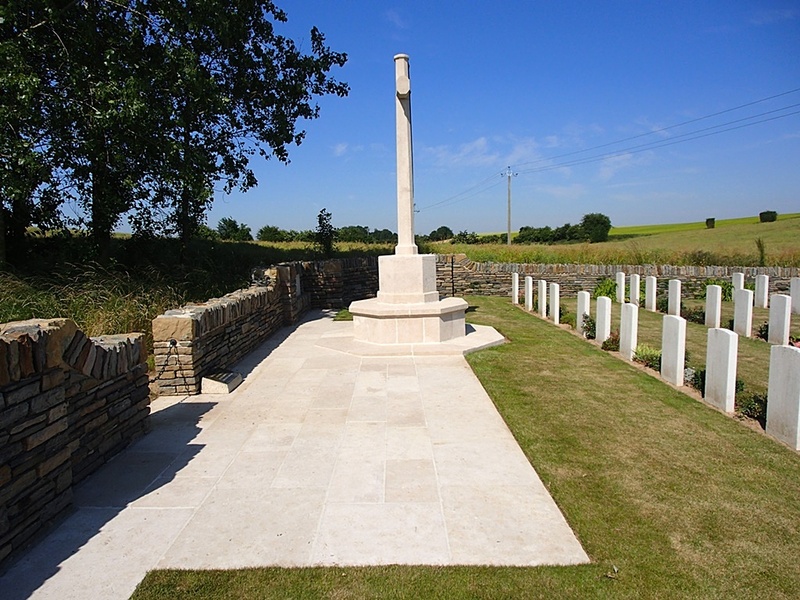 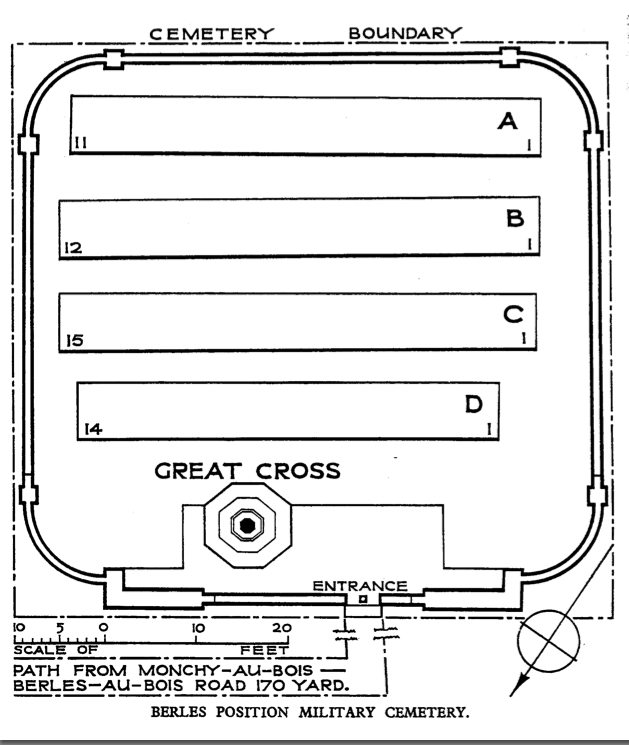 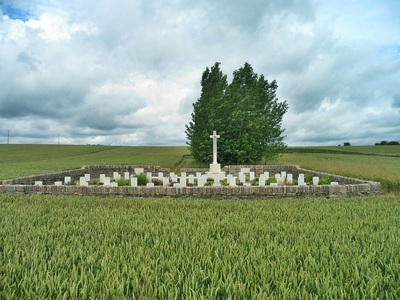 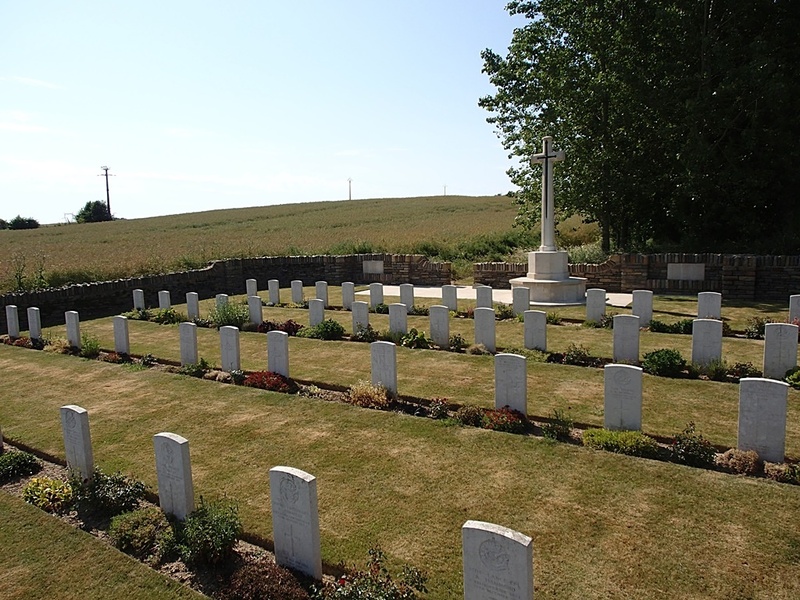 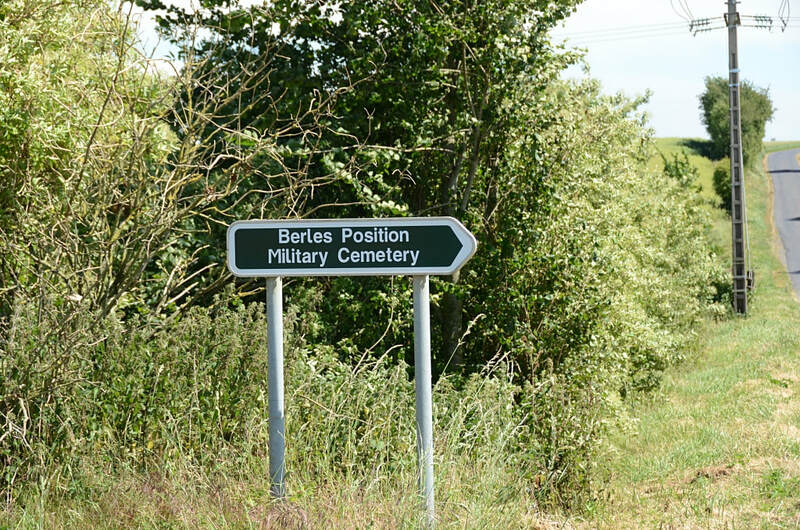 Berles Position Military Cemetery was begun by the 46th (North Midland) Division in July, 1916, and used (largely by the same Division) until February, 1917. 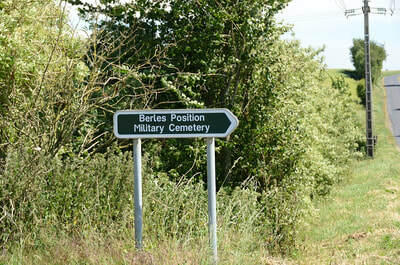 It lies in a long dip; and it was known also as The Ravine Cemetery and as Nobs Walk Cemetery. The cemetery covers an area of 379 square metres and is enclosed by a low rubble wall. 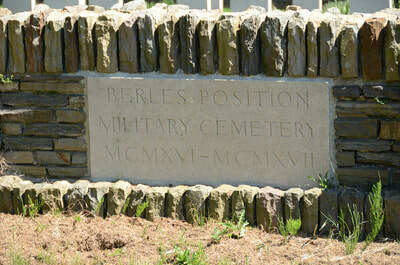 Casualty Details: UK 52, Total Burials: 52.